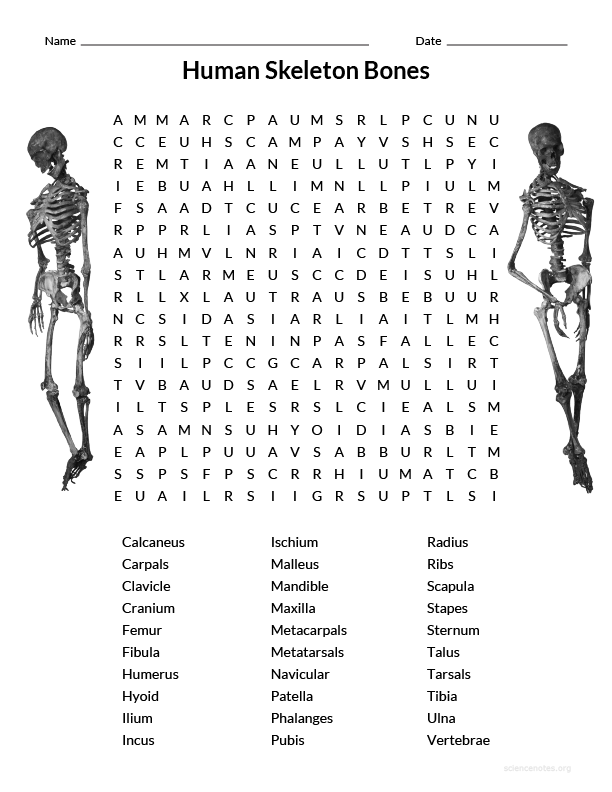 This Human Skeleton Bones wordsearch is a fun way to identify major bones of the human body. The puzzle is optimized to fit on a standard 8.5″x11″ sheet of paper. If you need a little help finding one or all of the metals, a solved version of the puzzle is available. 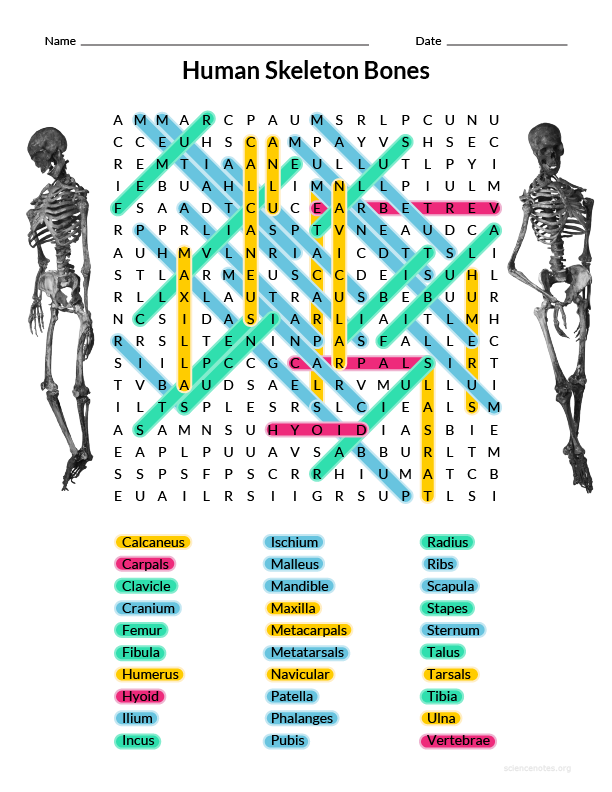 There are 206 bones in the human body. Bones form the skeleton, which may be divided into two main parts. The axial skeleton is the core, containing the skull, spine, and ribs. The appendicular skeleton contains bones of the appendages, such as legs and arms. The malleus, incus, and stapes are bones of the middle ear.